GED®, GED TESTING SERVICE®, and GED PLUS® are registered trademarks owned by American Council on Education (“ACE”). 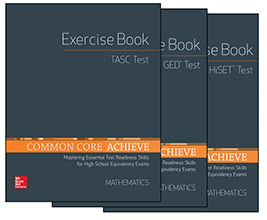 These programs are not endorsed or approved by ACE or the GED Testing Service LLC. TASC™ and Test Assessing Secondary Completion™ are trademarks of Data Recognition Corporation. HiSET® (High School Equivalency Test) is a registered trademark of Educational Testing Service (ETS). Together we can help your students build the foundation for success in math on the high school equivalency exams and beyond. 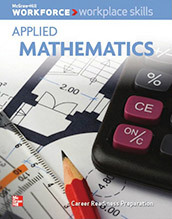 Our comprehensive selection of print and digital math solutions for adult education will empower you to help your students build a solid understanding of mathematics. View our solutions overview presentation to learn more. 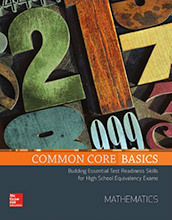 Conceptual-based learning for grade level equivalency 4-8 learners. 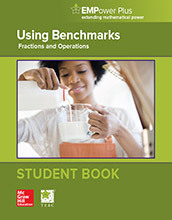 Math skills practice and WorkKeys test prep for grade level equivalency 2-12 learners. Core instruction for grade level equivalency 6-8 learners. Core instruction for grade level equivalency 9-12 learners. 2014 GED®, TASC™ test, or HiSET® exam-specific practice for grade level equivalency 9-12 learners. 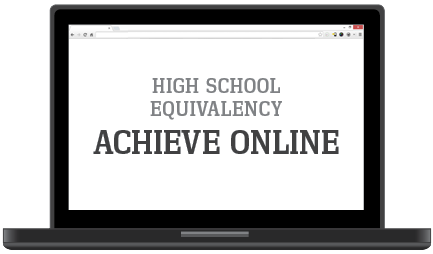 High School Equivalency Achieve Online provides in-depth core instruction for 9-12 GLE learners. Each digital lesson is accompanied by interactive 2014 GED®, TASC™ test, or HiSET® exam-specific practice. 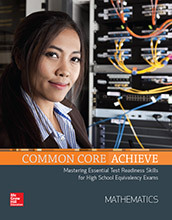 Provides online or LAN-based core instruction for grade level equivalency 9-12 learners. 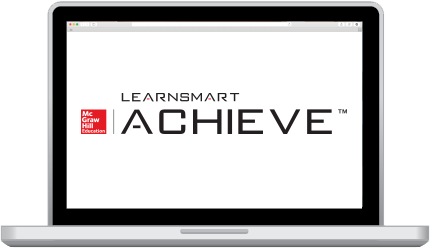 Learnsmart Achieve™ is an online adaptive learning program designed to help students prepare for the math portion of the 2014 GED® test, TASC™ test, or HiSET® exam. Provides individualized practice for grade level equivalency 9-12 learners. 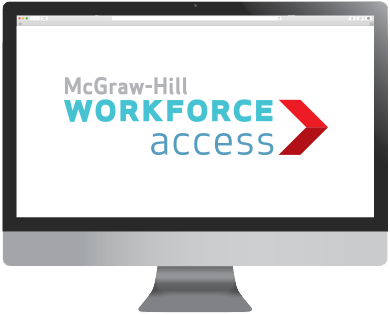 McGraw-Hill Workforce Access: Transitions Math, provides learners a basic math course that prepares them for higher-level training, postsecondary education, or entry-level careers. 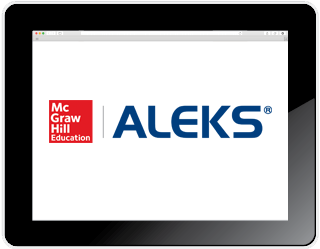 ALEKS® is an online, adaptive learning program that utilizes artificial intelligence to deliver a personalized learning plan based on what math concepts each student is most ready to learn. 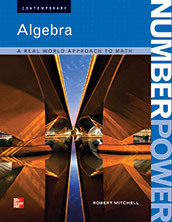 Provides individual learning for grade level equivalency 3-12 learners.